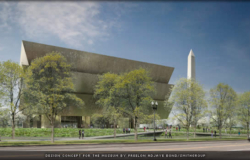 Occupying the last available space on the National Mall, the Smithsonian’s National Museum of African American History and Culture will be situated prominently between the National Museum of American History and 15th Street, next to the Washington Monument. 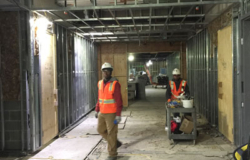 When it opens to the public in 2015, the museum will be a centerpiece venue for ceremonies and performances, as well as a primary exhibition space for African American history and culture. 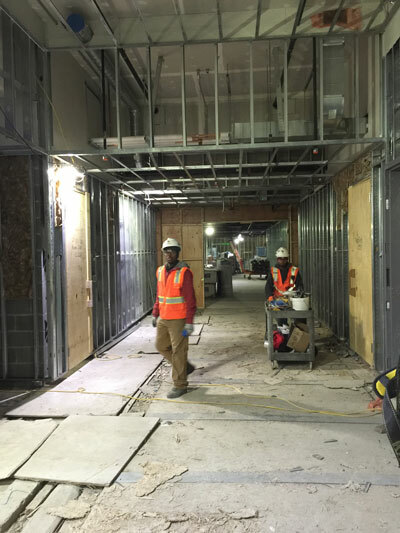 Designed by a joint venture of Freelon Adjaye Bond and SmithGroup, the 322,600 square-foot facility will look unlike any other structure on the Mall. 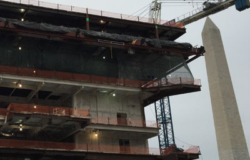 The bronze and glass-panel facade, known as the Corona, is a representation of traditional African architecture using modern materials and will visually define the museum. 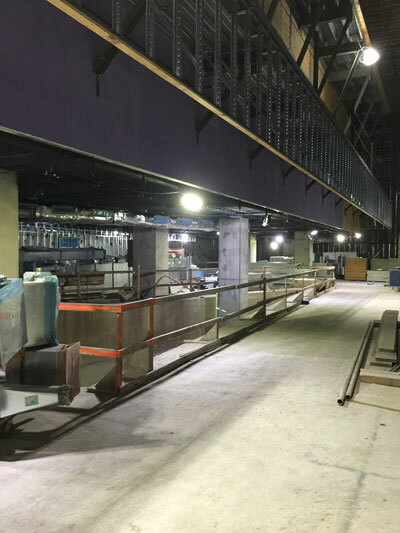 The Corona will hang from the top of the museum with no intermediate support. 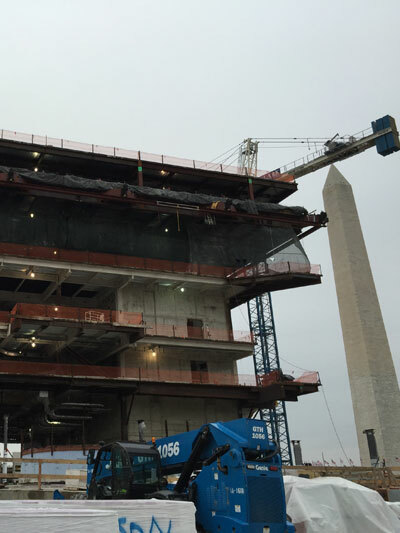 The museum’s five above-grade levels will be supported by four concrete towers linked at the top by steel trusses. 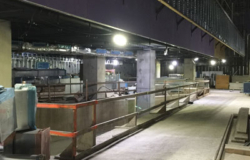 Below grade, the project includes three cast-in-place concrete levels: a mechanical level, a concourse level, and a mezzanine level. 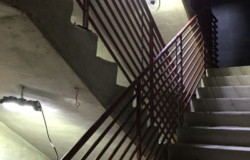 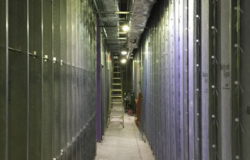 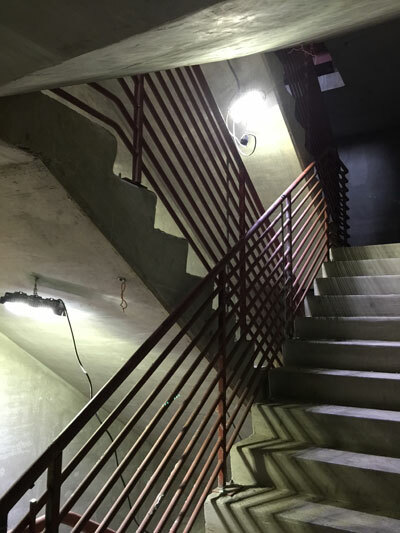 See pictures of the FLEX System providing temporary lighting for the project and saving upwards of 85% on energy consumption through the use of LEDs, along with a significant improvement in safety with a low voltage power distribution system. 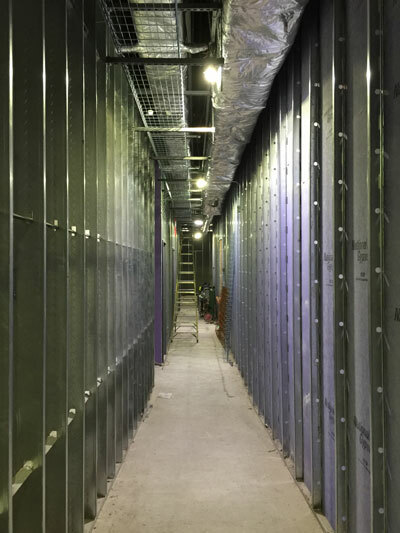 The museum is designed to achieve LEED® Gold certification.